This lecture will look at Samuel Fisher’s writings as they relate to the authority of Scripture and their effects on the ways other Quakers have understood the authority of Scripture throughout the Second Period and beyond. When Fisher became a convinced Friend in 1655, he was a Baptist pastor in Kent and an Oxford University graduate, well respected beyond the usual reach of such radical groups as Baptists and Quakers. I will demonstrate ways that Fisher took issue with the Westminster Confession of 1646, beginning with his attempt to address Parliament in 1656 and to advocate, among other things, for a view (contrary to Westminster) that the Scriptures were “in some things fallible.” This was followed by a 1659 debate with Calvinist pastor Thomas Danson in Sandwich, Kent, in which Fisher and other Quakers participated, and in which Fisher developed his views on the topic more fully. I will then comment briefly on Fisher’s voluminous Rusticus ad Academicos (1660), upon which many scholars have commented; this brought together his critiques of Danson and of renowned Puritan theologian John Owen. But while that may have been the highlight of Fisher’s contributions to a debate on the authority of Scripture, that was not the end. His debate tracts with Baptists and Anglicans on the subject of oaths in the early 1660s made clear the considerable degree to which Fisher felt the Bible to be reliable and authoritative. While, as Rosemary Moore has already explained, there were powerful competing views to Fisher’s understanding of the Bible among Quakers, I will explore the degree to which Fisher’s views were influential among Quakers even after his death from the plague in 1665, especially upon younger Friends such as Robert Barclay and William Penn. Stephen W. Angell is the Geraldine C. Leatherock Professor of Religion at the Earlham School of Religion in Richmond, IN, USA. He has published extensively in Quaker Studies and African American Religious History. He is the author of Bishop Henry McNeal Turner and African-American Religion in the South (1992) and has co-edited four books, most recently the Oxford Handbook of Quaker Studies (2013) with ‘Ben’ Pink Dandelion. In six essays in Quaker Theology, he chronicled a 2013 schism in Indiana Yearly Meeting. He has written on the spirituality of African American Quakers, human rights views of Quaker women in Kenya, and on Quaker missions to and from Japan and China. Steve has had intense interest in the Second Period of Quakerism since writing an M.A. thesis on “Religious Toleration, Truth, and Reason in the Thought of William Penn” (ESR, 1982). 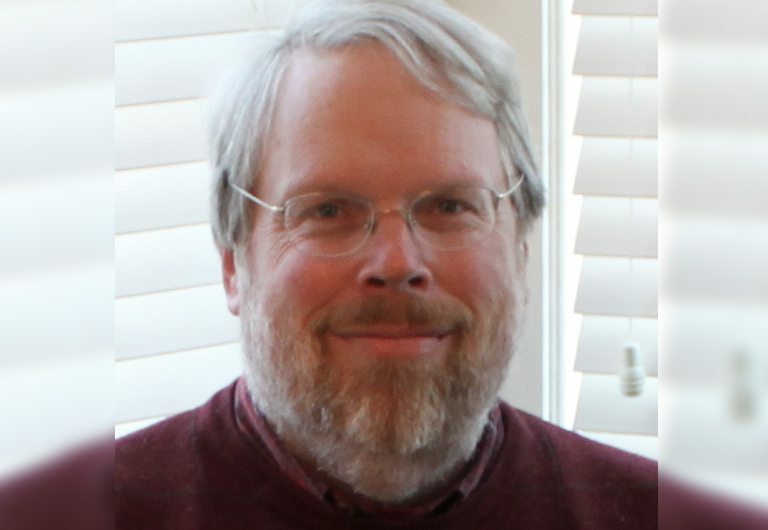 He contributed articles on Penn, George Fox, and early Quaker understandings of Colossians to Quaker Studies and has authored “Renegade Oxonian: Samuel Fisher’s Importance in Formulating a Quaker Understanding of Scripture,” forthcoming in Early Quakers and their Theology, another collaborative project with Ben under contract with Cambridge University Press. Steve is a member of the Oxford, Ohio, Quaker meeting.